People all over the world have heard about the plight of sea turtles in the media as their populations have dramatically reduced worldwide, earning them “critically endangered” status on the IUCN Red List. Sea turtles have existed in our oceans for more than 100 million years, but today they find themselves struggling for their lives and their future. 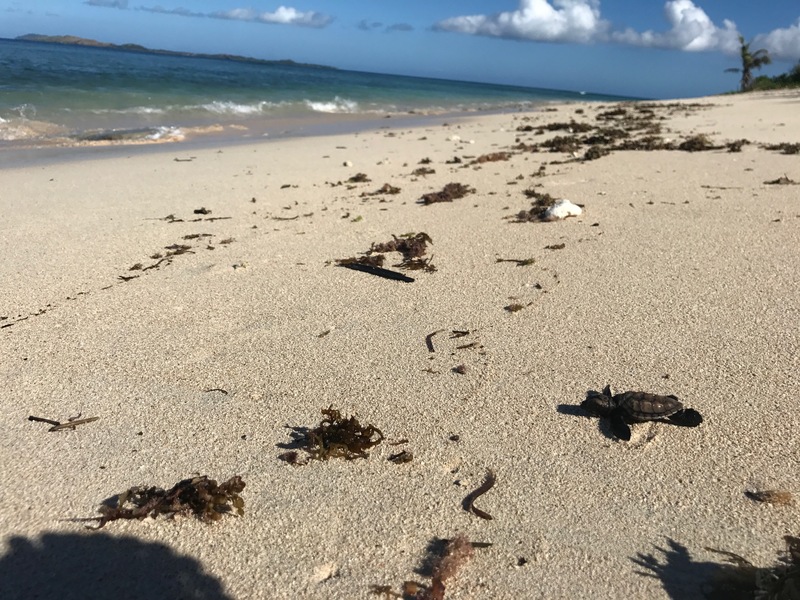 Fourteen turtles were released into the wild by crew members of the Uto ni Yalo, the Mamanuca Environment Society and a family from Vuda in Lautoka. Grace Dunn, a Vuda resident, said she discovered the hatchlings outside their home several months ago. “My initial thought was to contact my friend Lambert Ho, who I knew would be able to point me in the right direction of who to contact,” she said. Uto ni Yalo crew member Lambert Ho said the release of the turtles meant a lot to the crew. “We work on creating awareness about conservation, and for us today this meant a lot,” he said. “Our symbol is a turtle, and we are aware that turtles can travel places for years but will always return home to lay eggs. MES Project Manager Marica Vakacola said they had to monitor several of the turtles for the next few months before they too could be released. “They are quite young and cannot be released at this stage,” she said. These creatures are ambassadors of the ocean, for conserving these animals’ means protecting the seas and coastal areas, which in turn means protecting a complex, interconnected world on which human societies depend. MES will continue to work with conservation partners, member resorts, schools and communities in leading the work of turtle conservation to maintain the protection of these critically endangered sea turtle population in the region.